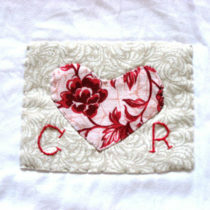 A gift for Christina and Justin’s wedding in a sober color scheme, with a red silk heart. 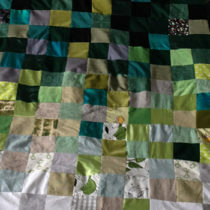 Twelve year-old Isa got to choose new wall paper in her bedroom and she choose green. 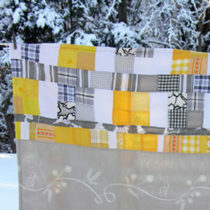 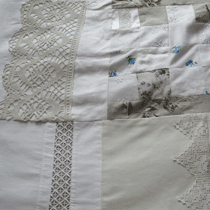 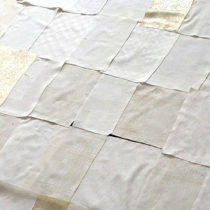 Double-sided quilt In cotton with unique detailing; name and appliqué techniques. 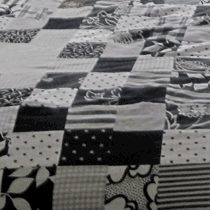 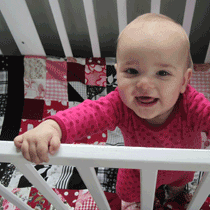 For the family’s first child I created a crib-sized quilt that also fitted the stroller. 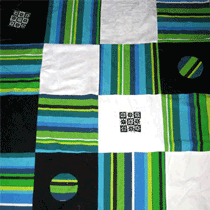 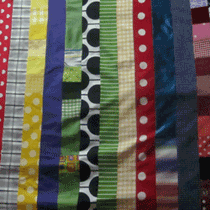 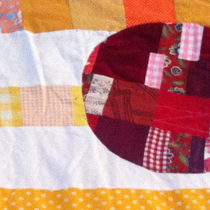 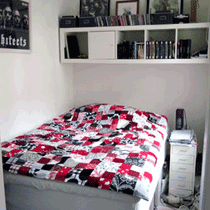 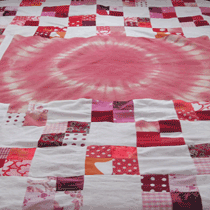 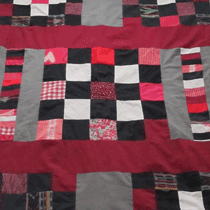 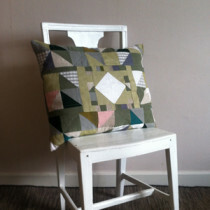 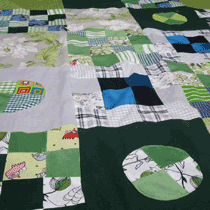 Created a colourful and thick double-sided quilt for a teenager to his newly decorated room. 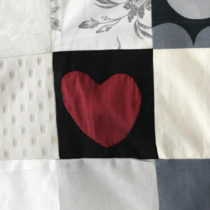 Åse’s favourite colours are e combination of red, black and white.